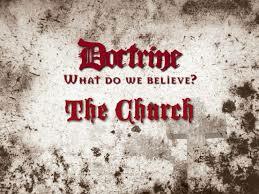 B. Biblical Doctrine of "Church"
prophecies that go all the way to the establishment of God’s eternal kingdom. As recorded in the New Testament, born-again believers are the people now chosen by God for His purposes and glory and have been since the nation Israel rejected Him. In the Old Testament, God’s light shined through an earthly organization, the nation Israel, including the trail that led to the death, burial, and resurrection of our Lord Jesus Christ. In the New Testament, God’s light shines through a spiritual organism, the institution of the church which is comprised of local, autonomous, spiritual bodies. No organism which resembled the New Testament church was described in the Old Testament. Old Testament believers were told at times to assemble to worship God (See, e.g., De. 4.10), but nowhere were they described as the church is described in the New Testament. 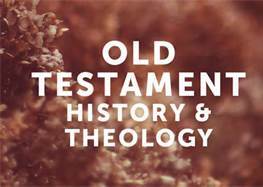 The Holy Spirit did not indwell all believers in Old Testament times. Since the conversion of Cornelius as recorded in Acts 10, He now indwells every believer at the moment of salvation. Christ ordained the nations and civil government, and He ordained the church. “And I [Jesus Christ] say also unto thee, That thou art Peter, and upon this rock I will build my church; and the gates of hell shall not prevail against it” (Mt. 16.18). Christ, through the epistles of Paul, develops the doctrine of the church. Through those epistles we know that the institution of the church is made up of local, autonomous, spiritual organisms, who are heavenly in calling, promise, and destiny. Through those epistles we know the nature, purpose, and form of organization of local churches and the right conduct of such bodies. The author set out to understand what the Bible teaches about the issue of separation of church and state in America. It became necessary in that study to examine the biblical doctrines of government and church. In studying the issues of government, church, and separation of church and state, the author was then presented with the necessity of examining both Covenant Theology and Dispensational Theology. Bible exposition, history, and law mandated this examination. 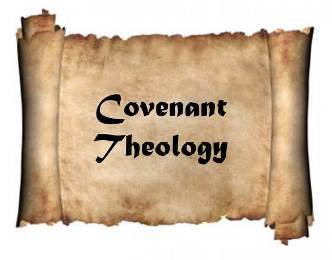 Dispensational Theology literally interprets Scripture (with an understanding of figures of speech) whereas Covenant Theology allegorizes or spiritualizes much of Scripture. When investigating the biblical principles of church, state, separation of church and state and the American application of those principles, one meets the issue of Covenant versus Dispensational Theology head on. When one believes what the Bible says, he cannot accept the interpretations of various issues made by those religions that have imposed fallacious interpretations upon the Word of God. These matters will be examined in more detail in the teachings which follow. The author disagrees with Covenant Theologians in their interpretation of Scripture. The author does not accept the unbiblical definition of “church” given by Covenant Theologians: “The community of all true believers for all time” (Wayne Grudem, Systematic Theology (Grand Rapids, Michigan: Zondervan; Leicester, England: Inter-Varsity Press, 1994), pp. 859-863 (differences between dispensationalism and Covenant Theology), p. 853 (the Covenant Theology definition of “Church”). See also the lessons which follow in this Section and in Section III.). 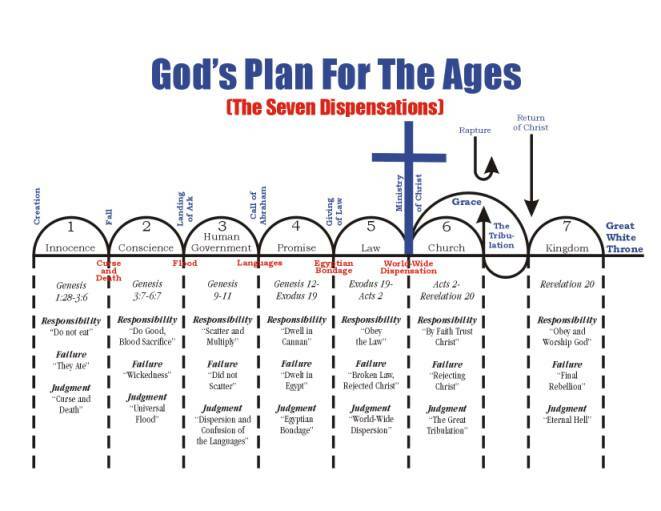 Hyper-dispensationalists divide the Word of God into too many small slices, thereby incorrectly expositing Scripture as to many issues and points. One example is offered here. Contrary to the teachings of some “dispensationalists,” all true believers in Christ after the fall, whether before or after His death and resurrection, are saved by repentance toward God and faith in the Lord Jesus Christ. However, the New Testament church is never mentioned in the Old Testament. In the Old Testament, as in the New, God dealt with individuals on the basis of their faith or absence of faith in the coming Messiah. In Old Testament times, believers looked forward to the resurrection; but God had not yet instituted any organism which in any way resembled the church ordained by Christ as recorded in the New Testament. After the resurrection, believers look backward to the resurrection. In the Old Testament God also deals with nations, and much of the Old Testament tells of God’s past, present, and future dealings with nations, especially the nation Israel and Gentile nations as they relate to Israel. However, no organism which resembled the New Testament church was described in the Old Testament. Old Testament believers were told at times to assemble to worship God (See, e.g., De. 4.10), but nowhere were they described as the church is described in the New Testament. Therefore, one must not use Old Testament Scripture to teach, for example, on the position and role of the New Testament church pastor. 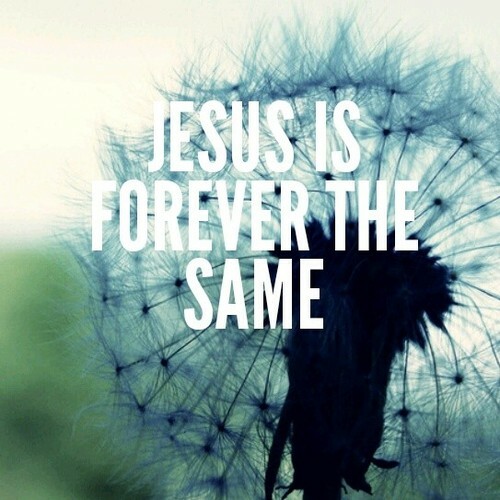 Yes, “Jesus Christ the same yesterday, and to day, and for ever” (Hebrews 13.8); He has always loved mankind, His creation, so much that He has done everything possible to show man that the only way to Him, after the fall, was by grace through faith. Every person since the fall has is a lost sinner unless he repents toward God and places his faith in the Lord Jesus Christ. Everyone, to the point of salvation, is a sinner whose righteousness is as filthy rags. 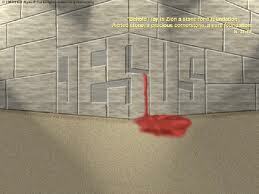 After salvation, a man still commits sin, but he does not practice sin without consequences as before. “Therefore if any man be in Christ, he is a new creature: old things are passed away; behold, all things are become new” (2 Co. 5.17; see, for more on this, Repentance, the new creature, the new life, and changed behavior). Because of the nature and history of man and because God loves man and wishes every person to choose to come to Him, as the Bible explains, He has worked with mankind in various ways since the creation in order to test man and show him that man cannot earn his eternal life; that salvation is a free gift. Every man fails God’s tests and rejects God’s ways or rules which would only benefit man, thus demonstrating that one is saved by grace through faith. The main purpose of God’s tests are to bring men to a saving knowledge of the Lord Jesus Christ. Every man fails; God succeeds for the remnant who put their trust in the Lord Jesus Christ. God worked with Adam and Eve before the fall in a special way: they were not saved by faith in Jesus Christ since they had not yet failed God in any way. However, after failing the one test God presented to them, God-instead of killing them instantly as they justly deserved—graciously spared mankind before his inevitable physical death and gave them a way to Him—faith in the coming seed. Thereafter, every time man has failed God’s tests. God—instead of destroying all human beings (except for the faithful remnant)—has lovingly demonstrated His great love for mankind in spite of man’s rejection of and rebellion against God and His Word. Every teaching on the Word of God—whether it be termed Dispensational Theology, Covenant Theology, or something else—should be carefully examined against Scripture as to its truth. For example, C. I. Scofield was a dispensationalist and his Commentaries on the Bible are very helpful in a serious study of the Word of God. However, he was wrong about many things in his footnotes, margin notes, and headnotes. Every believer is responsible to God to seek out the truth of the Bible. All resources one relies on in his study of God’s Word are to be tested by a careful study of the Word of God. Quotes from Scofield in these teachings indicates agreement unless otherwise indicated. The author does not agree with Covenant Theologians in their allegorical teaching that the church has replaced Israel. Covenant Theologians believe that the church has replaced Israel, that God is finished with Israel and the Jews, and that God’s promises to and covenants with the nation Israel and selected rules for organization for the Jewish religion should be applied to the church (See Grudem, pp. 859-863). Covenant Theologians reach this false conclusion by allegorizing certain Scriptures. The author addresses this in Section I (reproduced with modifications and editions on this website. Click here to go to the webpage with links to Section I articles.) and Section III of God Betrayed (reproduced with modifications and editions on this website). Click here to go to the webpage with links to Section III articles.). Section IV of God Betrayed shows the anti-biblical consequences of the brand of Covenant Theology practiced in Europe and brought to America by established Protestant churches. (Click here to go to the webpage with links to Section IV articles.). The application to modern nations, and the attempt to make the application in America, of certain principles—including the principle of union of religion (or church) and state— regarding the Jewish religion and the relationship of religion to state in Old Testament Israel has had devastating consequences in the United States. Those theologians who would combine religion and state as in the pagan nations of antiquity, as with Israel in the theocracy, as with the established Catholic and Protestant churches who used the arm of the state to kill millions whom they designated as heretics, as with the religion of Islam, etc. have not mastered God’s lessons recorded in His Word and in the historical writings of man. Sadly, America is now overrun with false Catholic and Protestant religions who hate the biblical principle of separation of church and state (not separation of God and state) as enacted in the First Amendment to the United States Constitution. To properly explain the issue of the relationship, if any, between church and state (separation of church and state), one must correctly understand what the Bible teaches about the government (covered in Section I of these studies) and church (this section, Section II). 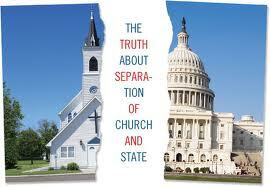 Section III will culminate this study as it examines the biblical principle of separation of church and state. Dispensational Theology correctly explains the biblical doctrine of separation of church and state. As is explained in Section III, Chapter or Lesson 4, the principles for church and state are so distinct that the two are mutually exclusive. A New Testament church is made up of visible people who have made a profession of faith in Jesus Christ and who assemble as members of a local autonomous spiritual body. On the other hand, since one cannot see the spiritual condition of people’s hearts, in one sense a church is invisible. “We can see those who outwardly attend the church, and we can see outward evidences of inward spiritual change, but we cannot actually see into people’s hearts and view their spiritual state. Only God can do that…. [An] invisible church is the church as God sees it” (Grudem, p. 855; Alan Cairns, Dictionary of Theological Terms (Greenville, S.C.: Ambassador Emerald International, 2002), p. 90)[Bracketed material shows my modifications]. Therefore, one can be in a visible church, yet unregenerate, lost, and destined for hell; such a person is not really a part of the true church to which he belongs. He is a tare; he will not be at the marriage of the Lamb (see Re. 19.7-10), and he will not be a part of the “general assembly and church of the firstborn” (see He. 12.22-24). According to the Word of God, the future of the visible Church, except for a remnant, is apostasy. Church members are not to be “fruit inspectors.” A church is authorized to remove a professed believer from fellowship only, and that for gross immorality in order to “deliver such an one unto Satan for the destruction of the flesh, that the spirit may be saved in the day of the Lord Jesus” (See 1 Co. 5). Click the above image to go to some heretical Roman Catholic teaching on the issue. Obviously, the Bible rejects the Roman Catholic position that the Roman Catholic “church” is the only true church or even a church as described in the New Testament. The Roman Catholic “church” was responsible for the persecution of untold millions of believers when that “church” had earthly authority. 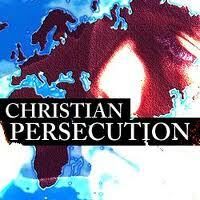 Catholicism justified the persecution by a false theology. Study of God’s Word, without brainwashing, a practice which the vast majority of Roman Catholic churches have traditionally condemned, reveals the fallacies of Roman Catholic theology. The author believes that, is spite of the apostate theology or the Catholic church, many Catholics today are probably saved, but ignorant. Otherwise, they would leave the harlot religious organization and join a Bible believing New Testament church. The Bible also rejects Protestant church theology which has also been responsible for the persecution and murder of those deemed to be heretics. Note. See http://joanandtherese.net/page/16/?title for a Catholic perspective of church and state. In the New Testament, the church is spoken of in two senses. In one sense, the Bible speaks of the institution of the Church, just as it speaks of the institution of marriage. As to the institution of the church, Jesus Christ promised, in speaking to Peter, “Thou art Peter and upon this rock I will build my church” (Mt. 16.18). “Christ also loved the church, and gave himself for it” (Ep. 5.25; of course, Ephesians was written to the church at Ephesus, the teachings to be applied by all local churches, Scofield’s misguided headnote notwithstanding. The Bible does not agree with Scofield’s doctrine of what he terms the “true” church. 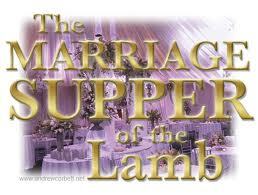 True believers who know and follow the Lord will be part of the marriage of the Lamb (See Re. 19.7-10), at which point there will be only one church or assembly of the saints. “But ye are come unto mount Sion, and unto the city of the living God, the heavenly Jerusalem, and to an innumerable company of angels, To the general assembly and church of the firstborn, which are written in heaven, and to God the Judge of all, and to the spirits of just men made perfect, And to Jesus the mediator of the new covenant, and to the blood of sprinkling, that speaketh better things than that of Abel” (He. 12:22-24). However, until the marriage of the lamb, the church, as spoken of in the Bible, is an earthly institution made up of local autonomous spiritual bodies. “Then had the churches rest throughout all Judaea and Galilee and Samaria, and were edified; and walking in the fear of the Lord, and in the comfort of the Holy Ghost, were multiplied” (Ac. 9.31). Paul said, “Likewise greet the church that is in their house” (Ro. 16.5). Notice that the church refers to the local body of baptized believers. The house was just the place where they met; it was not a church. Paul wrote to the church in Corinth, “Paul … Unto the church of God which is at Corinth, to them that are sanctified in Christ Jesus, called to be saints, with all that in every place call upon the name of Jesus Christ our Lord, both their’s and our’s” (1 Co. 1.1-2). “If therefore the whole church be come together into one place…” (1 Co. 14.23). “The churches [Not “the church”] of Asia salute you. Aquila and Priscilla salute you much in the Lord, with the church that is in their house” (1 Co; 16.19). “Paul … unto Philemon … and to the church in thy house” (Phil; 1-2). “… [T]hat thou mayest know how thou oughtest to behave thyself in the house of God, which is the church of the living God, the pillar and ground of the truth” (1 Ti; 3.15). The Bible defines “house of God”: “For every house is builded by some man; but he that built all things is God. And Moses verily was faithful in all his house; as a servant, for a testimony of those things which were to be spoken of after; But Christ as a son over his own house; whose house are we, if we hold fast the confidence and the rejoicing of the hope firm unto the end” (He. 3.4-6). In Revelation, in speaking to “the things that are” at that time, the Lord stands in the midst of the seven candlesticks (churches)(Re. 1.12-13) and speaks to each church individually. He speaks to and has a message for “the church of Ephesus” (Re. 2.1), “the church in Smyrna” (Re. 2.8), “the church in Pergamos” (Re. 2.12), “the church in Thyatira” (Re. 2.18), “the church in Sardis” (Re. 3.1), “the church in Philadelphia” (Re. 3.7), and “the church of the Laodiceans” (Re. 3.14). “[A] power in councils above particular churches has no foundation in Scripture, and is an endless source of confusion among Christians…. In all earthly governments, the laws are executed in the name of the supreme authority of it, which can see but a little of what is done in its name. But the Son of God is present in every church, as well as through the world, by his universal knowledge and power; and if any of his churches leave their first love, and will not repent, he removes the candlestick out of his place. Rev. ii. 1-5” (Backus, A History of New England With Particular Reference to the Denomination of Christians called Baptists, Volumes 1 and 2 (Eugene, Oregon: Wipf & Stock Publishers, Previously published by Backus Historical Society, 1871), pp. 339-340). “[N]either Christ nor His apostles, ever gave to His followers, what is known today as a denominational name, such as ‘Catholic,’ ‘Lutheran,’ ‘Presbyterian,’ Episcopal,’ and so forth—unless the name given by Christ to John was intended for such, ‘The Baptist,’ ‘John the Baptist.’ (Matt.11:11 and 10 or 12 other times.) Christ called the individual follower ‘disciple.’ Two or more were called ‘disciples.’ The organization of disciples, whether at Jerusalem or Antioch or elsewhere, was called Church. If more than one of these separate organizations were referred to, they were called Churches. The word church in the singular was never used when referring to more than one of these organizations. Nor even when referring to them all” (J. M. Carroll, The Trail of Blood, (Distributed by Ashland Avenue Baptist Church, 163 N. Ashland Avenue, Lexington KY 40502, 606-266-4341), p. 9. . J. M. Carroll was a leader among Baptists who studied history and the Bible in an attempt to “find the church which was the oldest and most like churches described in the New Testament.” In the course of his studies, he gathered “one of the greatest libraries on church history. This library was given at his death to the Southwestern Baptist Seminary, Ft. Worth, Texas.” Carroll, Introduction at pp. 1-2.). For our understanding her nature, Scripture describes a church in many ways. A church is a family. “Rebuke not an elder, but entreat him as a father; and the younger men as brethren; The elder women as mothers; the younger as sisters, with all purity” (1 Ti. 5.1-2). “And [I] will be a Father unto you, and ye shall be my sons and daughters, saith the Lord Almighty” (2 Co. 6.18). “And he stretched forth his hand toward his disciples, and said, Behold my mother and my brethren! For whosoever shall do the will of my Father which is in heaven, the same is my brother, and sister, and mother” (Mt. 12.49-50). Although the word “congregation” is used several hundred times in the Old Testament, it appears only once in the New Testament, in Acts 13.43, referring to a meeting of the Jews in the synagogue at Antioch where Paul had preached to them on the Sabbath day. A “congregation” is “an assembly of persons, or a gathering; especially, an assembly of persons met for worship and religious instruction” (See AMERICAN DICTIONARY OF THE ENGLISH LANGUAGE, NOAH WEBSTER (1828) definition of “CONGREGATION” and MERRIAM WEBSTER’S COLLEGIATE DICTIONARY 243 (10th ed. 1995), definition of “congregation.”). According to one Rabbi Hisda, the Hebrew word sbr meaning “assembly” or “congregation” is a contraction of three words: s from saddiqim (meaning “righteous”) plus b from benonim (“middle of the road persons”) and r from reshan (“wicked ones”) (Leonard Verduin, The Anatomy of a Hybrid (Grand Rapids, Michigan: William B. Derdmans Publishing Co., 1976), fn W, p. 216.) On the other hand, a New Testament church is described as a spiritual body wherein each member has a specific purpose. For the church body to function correctly, all the members must perform their functions. The difference between the church, a spiritual body, and a congregation is significant: a church body is a spiritual organism whereas a congregation is an earthly gathering of people. “For as the body is one, and hath many members, and all the members of that one body, being many, are one body: so also is Christ. For by one Spirit are we all baptized into one body, whether we be Jews or Gentiles, whether we be bond or free; and have been all made to drink into one Spirit. For the body is not one member, but many. If the foot shall say, Because I am not the hand, I am not of the body; is it therefore not of the body? And if the ear shall say, Because I am not the eye, I am not of the body; is it therefore not of the body? If the whole body were an eye, where were the hearing? If the whole were hearing, where were the smelling? But now hath God set the members every one of them in the body, as it hath pleased him. And if they were all one member where were the body? But now are they many members, yet but one body. And the eye cannot say unto the hand, I have no need of thee: nor again the head to the feet, I have no need of you. Nay, much more those members of the body, which seem to be more feeble, are necessary: And those members of the body, which we think to be less honourable, upon these we bestow more abundant honour; and our uncomely parts have more abundant comeliness. For our comely parts have no need: but God hath tempered the body together, having given more abundant honour to that part which lacked: That there should be no schism in the body: but that the members should have the same care one for another. And whether one member suffer, all the members suffer with it; or one member be honoured, all the members rejoice with it. 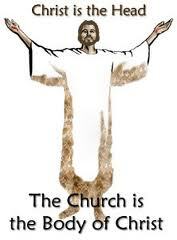 Now ye are the body of Christ, and members in particular” (1 Co. 12.12-27). “There is one body, and one Spirit, even as ye are called in one hope of your calling; One Lord, one faith, one baptism, One God and Father of all, who is above all, and through all, and in you all. But unto every one of us is given grace according to the measure of the gift of Christ. Wherefore he saith, When he ascended up on high, he led captivity captive, and gave gifts unto men. (Now that he ascended, what is it but that he also descended first into the lower parts of the earth? He that descended is the same also that ascended up far above all heavens, that he might fill all things.) And he gave some, apostles; and some, prophets; and some, evangelists; and some, pastors and teachers; For the perfecting of the saints, for the work of the ministry, for the edifying of the body of Christ: Till we all come in the unity of the faith, and of the knowledge of the Son of God, unto a perfect man, unto the measure of the stature of the fulness of Christ: That we henceforth be no more children, tossed to and fro, and carried about with every wind of doctrine, by the sleight of men, and cunning craftiness, whereby they lie in wait to deceive; But speaking the truth in love, may grow up into him in all things, which is the head, even Christ: From whom the whole body fitly joined together and compacted by that which every joint supplieth, according to the effectual working in the measure of every part, maketh increase of the body unto the edifying of itself in love.” (Ephesians 4:4-16). In other passages, Christ is depicted as the head of the church and the earthly members as the body. Remember that these passages are from Epistles written to local church bodies for their instruction. “And hath put all things under his feet, and gave him to be the head over all things to the church, Which is his body, the fulness of him that filleth all in all” (Ep. 1.22-23). “But speaking the truth in love, may grow up into him in all things, which is the head, even Christ: From whom the whole body fitly joined together and compacted by that which every joint supplieth, according to the effectual working in the measure of every part, maketh increase of the body unto the edifying of itself in love” (Ep. 4.15-16). “And not holding the Head, from which all the body by joints and bands having nourishment ministered, and knit together, increaseth with the increase of God” (Col. 2.19). “Of the true Church a pearl is a perfect symbol: (1) a pearl is one, a perfect symbol of unity (1 Cor. 10.17; 12.12, 13; Eph. 4.4-6). (2) A pearl is formed by accretion, and that not mechanically, but vitally, through a living one, as Christ adds to the Church (Acts 2.41, 47; 5.14; 11.24; Eph. 2.21; Col 2.19. 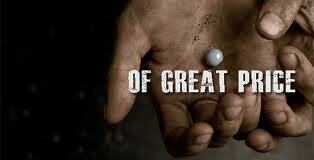 (3) Christ, having given Himself for the pearl, is now preparing it for the presentation to Himself (Eph. 5.25-27). The kingdom is not the Church, but the true children of the kingdom during the fulfillment of these mysteries, baptized by one Spirit into one body (1 Cor. 12. 12, 13), compose … the pearl.” 1917 Scofield Reference Edition, n. 3 to Matthew 13.45, p. 1017.). ‘the pillar and ground of the truth’ (1 Ti. 3.15). God gave each metaphor for a reason. “Each of the metaphors used for the church can help us to appreciate more of the richness of privilege that God has given us by incorporating us into [a local] church. The fact that [a] church is like a family should increase our love and fellowship with one another. The thought that the church is like the bride of Christ should stimulate us to strive for greater purity and holiness, and also greater love for Christ and submission to him. The image of the church as branches in a vine should cause us to rest in him more fully. The idea of an agricultural crop should encourage us to continue growing in the Christian life and obtaining for ourselves and others the proper spiritual nutrients to grow. The picture of the church as God’s new temple should increase our awareness of God’s very presence dwelling in our midst as we meet. The concept of the church as a priesthood should help us to see more clearly the delight God has in the sacrifices of praise and good deeds that we offer to him (See Heb. 13.15-16). The metaphor of [a] church as the body of Christ should increase our interdependence on one another and our appreciation of the diversity of gifts within the body. Many other applications could be drawn from these and other metaphors for the church listed in Scripture.” (Grudem, p. 859)[Brackets contain changes made by the author to reflect true Scriptural teaching]. Certainly, a preacher on the street corner with a crowd around him as he preaches is not a church. Nor is a group of people meeting in a house and preaching the Word. However, if that house group chooses a properly ordained and baptized pastor, organizes and operates according to biblical principles, initiates a proper baptism for new believers, and begins to partake of the Lord’s Supper, an ordered New Testament church comes into existence. The Lord desires that those who are saved be baptized into a properly ordered New Testament church. Where only false doctrines are preached, no church can exist. For example, the Catholic Church, some Baptist churches, many Protestant churches, the Church of Jesus Christ of Latter Day Saints, Islam, and the Jehovah’s Witnesses are not churches. “When the preaching of a church conceals the gospel message of salvation by faith alone from its members, so that the gospel message is not clearly proclaimed, and has not been proclaimed for some time, the group meeting there is not a church” (Grudem, p. 865). A church can exist only where the Bible is believed to be the inerrant Word of God, where the Bible is the sole basis for faith and practice, and where that Bible is preached. A church has responsibilities. Strong, knowledgeable believers who are walking in the spirit will practice all their God-given responsibilities and apply their spiritual gifts. Included in those responsibilities, but not developed in this chapter or section, is the responsibility to “present [the church] as a chaste virgin to Christ” (See 2 Co. 11.1-4). Worship is preeminent for the believer and for a church. “Worship” means “[t]o adore; to pay divine honor to; to reverence with supreme respect and veneration” (AMERICAN DICTIONARY OF THE ENGLISH LANGUAGE, NOAH WEBSTER (1828) definition of “WORSHIP.”). “Let the word of Christ dwell in you richly in all wisdom; teaching and admonishing one another in psalms and hymns and spiritual songs, singing with grace in your hearts to the Lord” (Col. 3.16). “That we should be to the praise of his glory, who first trusted in Christ” (Ep. 1.12). “Speaking to yourselves in psalms and hymns and spiritual songs, singing and making melody in your heart to the Lord; Giving thanks always for all things unto God and the Father in the name of our Lord Jesus Christ” (Ep. 5.19-20). The principles of worship set out in Exodus 30, the great worship chapter, still apply. Exodus 30.38 condemns “making worship a mere pleasure to the natural man, whether sensuous, as in … music …, or eloquence, merely to give delight to the natural mind” (1917 Scofield Reference Edition, n. 3 to Exodus 30.38, p. 112). Christians are to worship God in spirit and in truth (See Jn. 4.23-24). The Word of God contains principles regarding appropriate music, dress, conduct, and attitude for worship. The Lord commanded, “Ye shall offer no strange incense [on the altar of incense], nor burnt sacrifice, nor meat offering; neither shall ye pour drink offering thereon” (Ex. 30.9). No ‘strange’ incense was to be offered (that is simulated or purely formal worship forbidden) and no “strange” fire was permitted (referring “to the excitation of ‘religious’ feelings by merely sensuous means, and to the substitution for devotion to Christ of any other devotion, as to religious causes, or sects” (See 1917 Scofield Reference Edition, n. 1 to Exodus 30.9, p. 111; I Corinthians 1:11-13; Colossians 2.8,16-19).). The local body assembles to worship God, and to edify and aid in the maturing of the faith of the members of the body, not to preach to the lost. Believers go outside the assembly and seek the salvation of the lost. This does not mean that lost people may not attend the assembly, but the purpose of assembly is not to win the lost. God gifted members of a church “For the perfecting of the saints, for the work of the ministry, for the edifying of the body of Christ: Till we all come in the unity of the faith, and of the knowledge of the Son of God, unto a perfect man, unto the measure of the stature of the fulness of Christ” (Ep. 4.12-13). The church is to preach the whole counsel of God, “warning every man, and teaching every man in all wisdom; that we may present every man perfect in Christ Jesus” (Col. 1.28). A church has the responsibility to evangelize. “And he said unto them, Go ye into all the world, and preach the gospel to every creature” (Mk. 16.15). “Go ye therefore, and teach all nations, baptizing them in the name of the Father, and of the Son, and of the Holy Ghost” (Mt. 28.19). A church is united together and to Christ by the baptism with the Holy Spirit (1 Co. 12.12-34). As such, it is a holy temple for the habitation of God through the Spirit (Ep. 2.21, 22); is “one flesh” with Christ (Ep. 5.30, 31); and espoused to Him as a chaste virgin to one husband (2 Co. 11.2-4). Other metaphors, as pointed out above, have also been used to describe a church. Local churches assemble in His name for the breaking of bread, worship, praise, prayer, testimony, the ministry of the word, discipline, and the furtherance of the Gospel (He. 10.25; Ac. 20.7; 1 Co. 14.26; 1 Co. 5.4, 5; Ph. 4.14-18; 1 Th. 1.8; Ac. 13.1-). 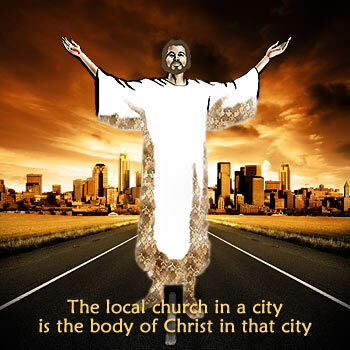 Every such local church has Christ in the midst, is a temple of God, indwelt by the Holy Spirit (1 Co. 3.16, 17), and is “the pillar and ground of the truth” (1 Ti. 3.15). Only the assembly where the true doctrine is preached is a church: “But though we, or an angel from heaven, preach any other gospel unto you than that which we have preached unto you, let him be accursed” (Ga. 1.8). A church is the body of Christ of which He is the Head. Christ desires that a church remain solely under Him: “And [God] hath put all things under his feet, and gave him to be the head over all things to the church” (Ep. 1.22-23). 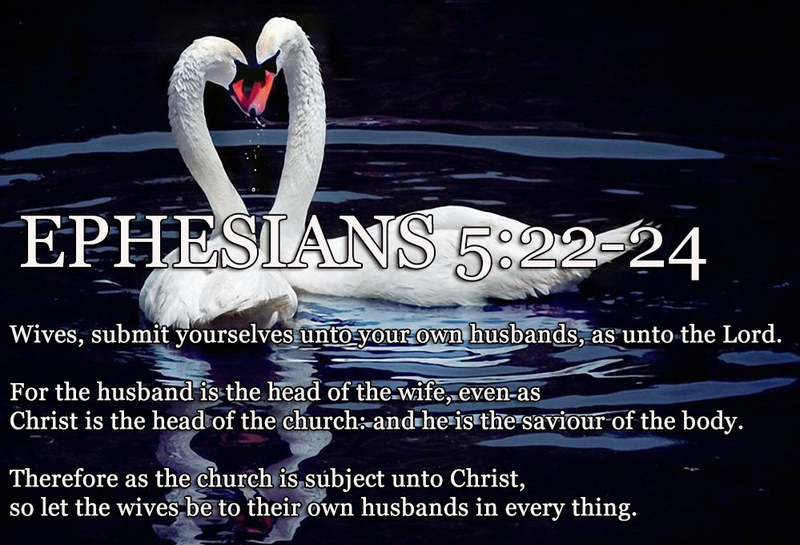 “For the husband is the head of the wife, even as Christ is the head of the church” (Ep. 5.23). Note. A “+” represents a supportive letter, a “-” a negative letter. XII. Information of books by Jerald Finney including links to online previews of two of his books. This article presents more e-mails from pastors with their comments, concerns, and questions concerning articles on this blog, and my replies to those e-mails. These e-mail letters not only raise important questions which need to be addressed, but also give insights into the thoughts of pastors. As foretold by prophesy, Israel was reestablished as a nation, as you know, in 1948. Israel will never be removed from the land again. As you know, at some point in time, the Gentile nations still in existence will send their armies against Israel. God will intervene, crush the Gentile armies, set up His Kingdom on earth, and rule from Jerusalem. Of course, many religions twist Scripture (mainly through allegorization), deny this truth, and claim that God is finished with Israel and that the nation of Israel should be destroyed. The provable fact remains that nations who bless Israel are and will be blessed and those who curse Israel are and will be cursed, according the Abrahamic Covenant. It is a mistake for a nation or for an individual to commit the error of Balaam-his mistake was in reasoning from natural morality, and seeing the evil in Israel, he supposed a righteous God must curse them. He did not take into account the Abrahamic Covenant which God made with Israel. I go over this in much more detail in God Betrayed. If you disagree with me on this, please let me know your reasoning. I agree wholeheartedly, thank U for your quick reply. Allow me to introduce myself, my name is __________________, I recently graduated from ______________________ Baptist College and God has called me to plant an Independent Fundamental KJV Baptist church in ___________________, PA. I’m currently preparing to go on deputation to start raising the support needed to do such. This is all new to me and I’m trying to learn as much as I can – especially about the legalities involved. I stumbled upon your website while trying to find info about the 501c3. The email address that I have responded to you is the one that needs removal from your list. We are located in the state of Rhode Island. It seems to me that we have enough of a hard time trying to win the lost and keep them serving the Lord faithfully. I fail to understand your calling to expose anyone that disagrees with your position. I believe, as the Scripture teaches, each servant stands or falls to his own master. To be frank with you, I believe it is people that hold such dogmatic positions against other “Christians” that do more harm than good. I believe you may have the best of intentions but please exclude us from your email list at this time. We appreciate you honoring our request. Your request has been honored and your e-mail is removed. The Bible tells me to earnestly contend for the faith (Jude 1.3), but also to shun profane and vain babblings as well as to avoid foolish and unlearned questions (1 Ti. 2.16, 23). I feel that I must give an answer in order to comply with the former even though part of your letter is certainly consistent with the latter. My main concern in my biblically based teachings is winning the lost and opposing theologies and “Christian” practices that lead to fewer souls being saved—that is opposing the heresies and apostasies in so-called Bible believing churches. In reply to your note, it is obvious that you have not studied some biblical teachings, much less read my writings or listened to my audio teachings. I strongly suggest, for the glory of God, that you read what I have written before you comment upon it. I also suggest a study of the biblical teaching about church, state, separation of church and state, heresy and apostasy. I suggest a reading and study of all of 2 Ti. 2 which describes the path of a good soldier in time of apostasy. I appreciate your voluminous work on Bible interpretation. You have correctly spoken against churches being incorporated to the state. Let me preface my remarks by saying I do not consider any school of Bible interpretation correct, and that they all lead to creating the Traditions of Men, or the current group of Pharisees and Sadducees we have masquerading as “Men of God” in today’s world. There is only one way to correctly interpret God’s Word and that is through the Holy Spirit! 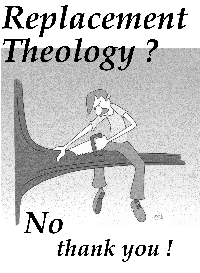 Therefore my theology, if you will, is Holy Ghost Theology! Listening to your broadcasts on Dispensational and Covenant Theology left me with a question for you: You say that Covenant theology doesn’t believe in literally interpreting the Bible, and that’s why they spiritualize the interpretation of the 144,000 mentioned in the Book of Revelation. Do you literally interpret the teachings of Jesus Christ? Do you believe Christians should take up arms and fight in wars? Thanks for your comment. There are many heretical positions and actions within “Christianity” besides those dealing with the issue of “separation of church and state.” God called me to deal with the specific issue of “separation of church and state,” but over the years I have had to face other heresies, beginning immediately after the Lord saved me in 1982. Among those were Pentecostalism and the Charismatic movement which stress “signs and wonders,” “speaking in tongues,” “health and wealth gospel,” incorrect interpretation of “the filling with the Holy Spirit,” etc. Those and other movements did not move me because all the teaching and preaching I heard was solidly biblical. I discovered, from studying my Bible, that one purpose of the Holy Spirit is to illuminate what is in Scripture, not to communicate new truth or instruct in matters unknown. Although I am actively involved with several ministries, this “separation of church and state” ministry takes much more of my time than any of the others. I simply do not have time to debate every heresy. However, God has provided good resources for the believer who is seeking truth. As to the heresies mentioned in the first paragraph, I suggest that a very excellent resource is Charismatic Chaos by John F. MacArthur, Jr.
May the Lord lead you into truth regarding this very important issue. The King James Bible is not inspired. God’s words are inspired. This issue requires serious thought and analysis. In all due respect, and in love, and as kindly as I can think to reply to your statement, you need to do a lot of Holy Spirit led study before entering into this debate. If you do that, you will be able to both intelligently comment on the subject and also to understand that the KJV is God’s Word in English. God is perfectly capable of giving those of us who speak English (as well as any other language) His inspired Word. He has done so, Satan hates it, and is doing all he can to discredit God’s Word. By the way, if God is not able to give us His perfect Word, He is not able to do what He has told us He would do and He is not the all-powerful, all-knowing, all-seeing God which I am totally convinced that He is. Preserving His Word is much less difficult than many of the other things that He has done, is doing, and will do. If we do not have His Word, then all is in vain. Thank you greatly for the encouragement! Thank you for sending me your articles. Just out of curiosity, where did you get my email address? As far as I know we’ve never met nor had I ever previously visited your web site. Not a huge deal just curious. I apologize for not getting back with you sooner. It has been a busy week or two. Thanks for your kind e-mail. My hope in this ministry is to be a blessing. I got your e-mail address from an online list. I have been so convicted of this and did not know what to do. I have started a church and incorporated it. I am Pastoring a church that is incorporated for 52 years now. I have been here 7 years and would love to remove this sin in the camp. Please help me to do this. I have been thinking of changing the name and getting a fresh start. Would that work? Let me know. I just sent you an e-mail with my phone numbers. Please contact me and I will consider it an honor to go over the procedures with you. The organization I work with has helped many churches get out from under civil government control through incorporation and 501c3. A lawyer founded the organization in the 1980s and developed the legal procedures and documents for organizing churches according to New Testament principles as well as the civil laws in America. I will be looking forward to talking with you. My phone numbers are given in my e-mail. You can also get contact information, including phone numbers by going to the “Contact” page of the website, churchandstatelaw.com. Greeting in the Precious Name of our soon coming God and Saviour, the Lord Jesus Christ. I read through a number of your articles and Emails. It is a joy to read your articles and sound exegeses of Scripture. It is pathetic at times to read the responses from ‘Pastors’ who ought to know better. But, as far as I see, we are living in the last day – days of apostasy. I often, in this day, deal with some of the same resistance and find that people get ‘angry’ with me for an unwillingness to ‘change’ with the times. I was saved at Word of Life Camps, under the ministry then of Jack Wyrtzen. Now just to say that Word of Life is not what or where it used to be biblical. My date of salvation: June 24, 1956 at the age of 19. I have been in church related ministries since. Involved in Missions Ministry with Missionaries in the Dominican Republic – starting church. In the last year over 300 have been saved and two churches started. I’m still a pastor at the age of 73. That is simply an introduction of myself. The main purpose of this Email is to commend you on you strong, biblical stance on Scripture. In a day when I see so many falling away from the Truth it is good to see someone sticking in there – in spite of the opposition. God’s best to you. May His sufficient grace be with you – as He has promised – may you always stay true and faithful to Him, His word and His call upon you life. What a joy to hear from another pastor and missionary who honors our love relationship with our Lord and Savior! Thanks for taking time to read my e-mails and sending encouragement. As you well know as I can see from reading your e-mail, it is vexing to see the state of knowledge, understanding, and wisdom among some or our allegedly Bible believing brethren. When I get an e-mail such as yours, I become more determined to continue in this spiritual battle the Lord has called me into. May the Lord continue to richly bless you! What a blessing to know that you are still serving our Lord at 73. I see that your desire was not that of many pastors-retirement with all its perks provided by church they built along with the help of the civil government. I pray that I am able to keep working for our Lord until I go home. I am 63 now. These teachings are based upon a literal interpretation of Scripture. Of course, the Bible uses metaphors, personifications, similes, and other figures of speech. However, untold damage to the cause of Christ has been caused by unbridled allegorization or spiritualization of Scripture by Catholics, Protestants, Jehovah’s witnesses and others. Some of those religions, due to their heinous theologies (false interpretations of Scripture) have violently persecuted and murdered others, including true believers who stood on God’s Word in spite of persecutions and martyrdom, down through the last 2,000 years. Sadly, perversions of Scripture by such religions and the resulting atrocities based upon false interpretations have been attributed to true Christians by the world in general—true Christians and churches have been lumped together with imposters by both secular and Christian revisionists. This series of articles, a revised and updated version of Section II of God Betrayed/Separation of Church and State: The Biblical Principles and the American Application, will develop the biblical doctrine of the church. In order to understand why church incorporation and 501(c)(3) status violates biblical principles and grieves our Lord Jesus Christ, one must first be saved. Second, he must understand the biblical principles of government, church, and separation of church and state. He must then understand the facts about and legalities of incorporation and 501(c)(3). Finally, he must apply principles to facts and law. To fully understand this requires a lot of time and study, and God wants His children, and especially pastors, to take the time to do the studying (1 Ti. 2.15). Most pastors are so consumed with their ministries that they need to rely on specialists within the local church body-for example, born again, Bible believing, God honoring lawyers or others who have the time, gifts, abilities, and love for the Lord necessary to examine these matters. Those requirements eliminate many so called Christian “lawyers” who are using “churches” and “Christians” to enrich their coffers while dishonoring and grieving God and His principles. The author has done such a systematic study and published the results in God Betrayed. He is now step by step presenting that study in academic course form on this “Separation of Church and State Law” blog. 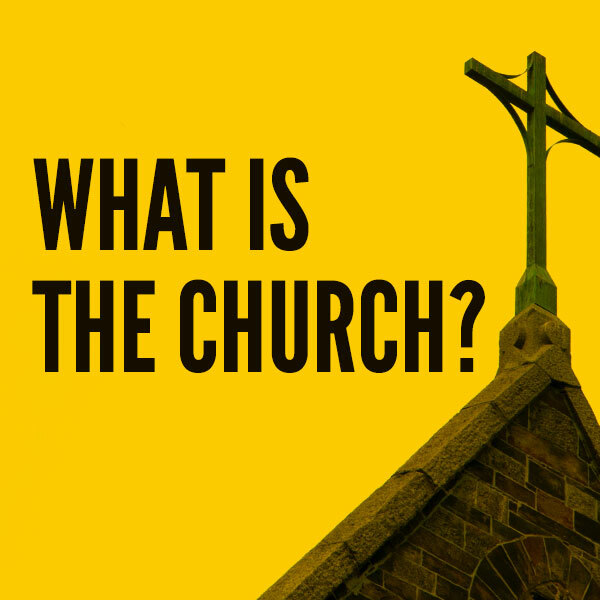 This series of articles will develop the biblical doctrine of the church. As foretold by Isaiah (Is. 40.3), John the Baptist announced: “Repent ye: for the kingdom of heaven is at hand. 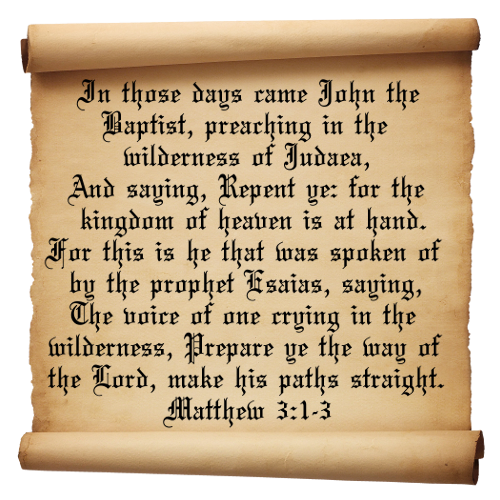 For this is he that was spoken of by the Prophet Esaias, saying, The voice of one crying in the wilderness, Prepare ye the way of the Lord, make his paths straight” (Mt. 3.2-3. See also, Mk. 1.2-3; Lu. 3.4; and Jn. 1.23). The phrase “kingdom of heaven” “is peculiar to Matthew and signifies the Messianic earth rule of Jesus Christ, the Son of David. It is called the kingdom of the heavens because it is the rule of the heavens over the earth (Mt. 6.10). The phrase is derived from Daniel, where it is defined (Dan. 2.34-36, 44; 7.23-27) as the kingdom which ‘the God of heaven’ will set up after the destruction by ‘the stone cut without hands’ of the Gentile world-system. It is the kingdom covenanted to David’s seed (2 Sam. 7.7-10, refs. ); described in the prophets (Zech. 12.8, note); and confirmed to be Jesus the Christ, the Son of Mary, through the angel Gabriel (Lk. 1.32, 33)” (1917 Scofield Reference Edition, n.1 to Matthew 3.2, p. 996; See also, J. Vernon McGee, Matthew, Volume I (Pasadena, California: Thru the Bible Books, 1980 revised printing), pp. 8-10. The author has diligently studied the biblical principles of government, church, separation of church and state, as well as other principles for years. His studies include extensive study of the Bible and commentaries upon the Bible. He does not agree with Scofield’s doctrine of the church (See C.I. Scofield’s ‘true church’ doctrine). However, he does agree with much of what Scofield includes in his notes and margins. Quoting Scofield indicates agreement unless otherwise indicated.). After Israel morally rejected the kingdom of heaven, Jesus predicted judgment on the places chosen for the testing of the nation, Chorazin, Bethsaida, and Capernaum, “wherein most of his mighty works were done, because they repented not” (Mt. 11.20-24). Jesus, at that point, turned from the rejecting nation, offered rest and service to individuals in the nation, and turned to the Gentiles (Mt. 11.28-30; Mt. 12.18). “In fulfillment this awaited the official rejection, crucifixion, and resurrection of Christ, and the final rejection of the risen Christ” (Lk. 24.46, 47; Acts 9.15; 13.46; 28.25-28; Rom. 11.11; 1917 Scofield Reference Edition, n. 2 to Mt. 12.18, p. 1012). Just as God ordained civil government, He also ordained His churches after the nation Israel rejected Him and the kingdom of heaven. The power given by God to His churches on earth was to secure a spiritual good for their members. When Christ asked His disciples whom they thought Him to be (Mt. 16.15, Mk. 8.29, Lu. 9.20), Peter answered, “Thou art the Christ, the Son of the living God” (Mt. 16.16; see also, Mk. 8.29, Lu. 9.20). At that point, our Lord announced the out calling of the church when He said: “And I say also unto thee, [t]hat thou art Peter, and upon this rock I will build my church; and the gates of hell shall not prevail against it. And I will give unto thee the keys of the kingdom of heaven: and whatsoever thou shalt bind on earth shall be bound in heaven: and whatsoever thou shalt loose on earth shall be loosed in heaven” (Mt. 16.18-19). “To whom coming, as unto a living stone, disallowed indeed of men, but chosen of God, and precious, Ye also, as lively stones, are built up a spiritual house, an holy priesthood, to offer up spiritual sacrifices, acceptable to God by Jesus Christ. Wherefore also it is contained in the scripture, Behold, I lay in Sion a chief corner stone, elect, precious: and he that believeth on him shall not be confounded. Unto you therefore which believe he is precious: but unto them which be disobedient, the stone which the builders disallowed, the same is made the head of the corner. And a stone of stumbling, and a rock of offence, even to them which stumble at the word, being disobedient: whereunto also they were appointed” (1 Pe. 2.4-9). “This is the stone which was set at nought of you builders, which is become the head of the corner” (Ac. 4.11, part of Peter’s address to the Sanhedrin). From the context, it is obvious that Peter is speaking of the Lord as being the chief corner stone. Nowhere in the Bible is there any indication that Peter was the cornerstone of a universal visible or invisible church. 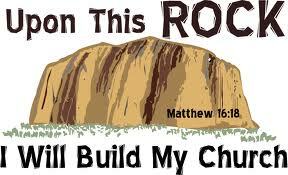 The words used also make clear that Christ was referring to Himself as the rock on which the church would be built. “There is in the Greek [in Matthew 16.18] a play upon the words, “thou art Peter [petros—literally, ‘a little rock’], and upon this rock [Petra] I will build my church.” He does not promise to build His church upon Peter, but upon Himself, as Peter himself is careful to tell us (1 Pet. 2.4-9)” (1917 Scofield Reference Edition, n. 1 to Mt. 16.18, p. 1021). Jesus Christ, Head of the church, “loved the church and gave Himself for it” (Ep. 5.25). Jesus did not give Peter the keys—a key being a badge of power or authority (see, e.g., Is. 22.22 and Re. 3.7)—to the church, but to “the kingdom of heaven,” the keys in the sense of Matthew 13, that is of the sphere of Christian profession. Peter assumed no other authority. In the council at Jerusalem as recorded in Acts 15, James seems to have presided. Peter claimed nothing more than to be an apostle by gift and an elder by office (See 1 Pe. 1.1 and 5.1). The power of binding and loosing was shared by the other apostles (See Mt. 18.18 and Jn. 20.23). Since only Christ held the keys of death and the place of departed spirits, “this did not involve the determination of the eternal destiny of souls” (1917 Scofield Reference Edition, n. 1 to Mt. 16.19, p. 1022). 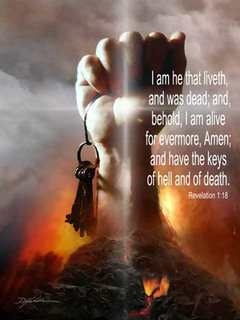 “I [Jesus Christ] am he that liveth, and was dead; and, behold, I am alive for evermore, Amen; and have the keys of hell and of death” (Re. 1.18). “This faith is the foundation of the church; against this faith the gates of hell shall not prevail; this faith hath the keys of the kingdom of heaven; what this faith shall loose or bind on earth, is bound and loosed in heaven…. 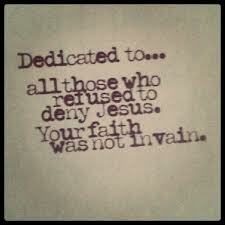 Now it followeth, that whatsoever person hath received the same precious faith with Peter, as all the faithful have, 2 Pet. i. 1, that person hath a part in this gift of Christ. Whosoever doth confess, publish, manifest or make known Jesus to be the Christ, the Son of the living God, and Saviour of the world, that person opens heavens gates, looseth sin, and partakes with Peter in the use of the keys; and hereupon it followeth necessarily, that one faithful man, yea, or woman either, may loose and bind, both in heaven and earth, as all the ministers in the world” (Isaac Backus, A History of New England With Particular Reference to the Denomination of Christians called Baptists, Volume 1 (Eugene, Oregon: Wipf & Stock, Publishers, Previously published by Backus Historical Society, 1871), p. 12 quoting John Robinson, A Justification of Separation from the Church of England.). God’s Word describes the church as being the bride of Christ and the wife of Christ. Those designations carry connotations about how He feels about His relationship with His churches, and the Word of God gives ample instruction to alert churches to what this relationship entails. The Lord while on earth did not explain how, when, or of what materials local church bodies on this earth should be built, or what should be their position, relationships, privileges or duties. Instead, He revealed to Paul the mystery of the churches who were to be made up of both Jewish and Gentile believers in autonomous local assemblies. Paul’s epistles develop the doctrine to be followed by the churches. God, through the Apostle Paul, explained the purpose, membership, make-up, and operation of the churches, and the relationship of His churches to the Lord Jesus. Through Paul alone we know that churches are not earthly organizations, but spiritual organisms, local spiritual bodies. The Bible makes clear that churches here on earth are to be visible, local, autonomous bodies, each operating under the principles of the Word of God. Paul wrote to local churches or assemblies—the church of God which is at Corinth (1 Co. 1.2, 2 Co. 2.1), the churches of Galatia (Ga. 1.2), the church at Ephesus (See Re. 2.1), the church of the Thessalonians (1 Th. 1.1; 2 Th. 2.1). Christ stood in the in the midst of seven golden candlesticks (local churches still on earth) (Re. 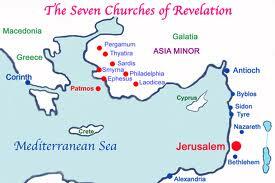 1.11-13); and He instructed John to write to those seven churches (Re. 1.19-20). The Lord delivered individual messages to each of those local assemblies (Re. 2.1-3.22). Although the Lord made clear that He wants every church to be under Him in all things, God allows men in a church free-will to decide whether to do things His way. Our Lord warned against false teachers to come and some writers of the New Testament warned of already existing apostasy in the church and revealed that before the return of Christ true believers would all be raptured and those left behind in the visible “church” would go into total apostasy, be called a whore and not a church, and be destroyed by the nations. Religious apostasy of some churches in America began with the importation from Europe of modernism and has recently accelerated as seen in the recent Church Growth Movement and, after that, the Emerging Church Movement. Christ is described as the only head, husband, and bridegroom, of His churches. He will conduct a marriage ceremony, the wedding of the Lamb (Re. 19.7-10). The bride who will be called to the marriage supper of the Lamb will be arrayed in fine linen, which is the righteousness of the saints (Ibid). Because of the signs of the times, as related to biblical prophecy, true believers should be vigilant in seeking the salvation of the lost since it appears that the Lord will return soon. Only true believers have the ultimate hope: they will reign with the Lord. The Holy Spirit is now calling out, not the subjects, but the co-heirs and co-rulers of the kingdom. Since the Lord told believers to love others, since believers will be eternally with God, and since nonbelievers will be eternally separated from God for all eternity, those who are saved should have a great burden for the salvation of the lost. In order to maximize the witness of the local church, believers should be careful to do all they do as individuals, families, as a church body, and as citizens according to the principles of the Word of God. Initial compromise of God’s principles on the church level inevitably leads to further compromise, to heresy, and in most cases to apostasy. Compromise introduces leaven which in turn infects the whole body. Thus, for example, the initial compromise of many Baptist churches after the adoption of the United States Constitution in getting corporate status introduced a little poison into churches. Corporate churches, generally speaking, had no problem with further compromises such as the abandonment of God’s Word in English, and Internal Revenue Code § 501(c)(3) status. The religious apostasy in America among God’s churches has accelerated at an alarming pace. This section will delve into what the Bible teaches about God’s institution of the church and the local churches which make up that institution.